Various airport to islands, hotels and port taxi services. We offer fast and efficient service, our company will never let you down or leave you hanging. Weather you are waiting for a quote or your pickup, we will do our best to deliver as quick as possible. We are equipped with a fleet of powerful boats, each with its specific advantages. Depending on weather and sea conditions, number of person on board and desired urgency – we will choose the best option to meet your needs. Working with us provides you with direct booking, and enables you to avoid all unnecessary fee and surcharges. We even provide booking discount on most of our destinations. 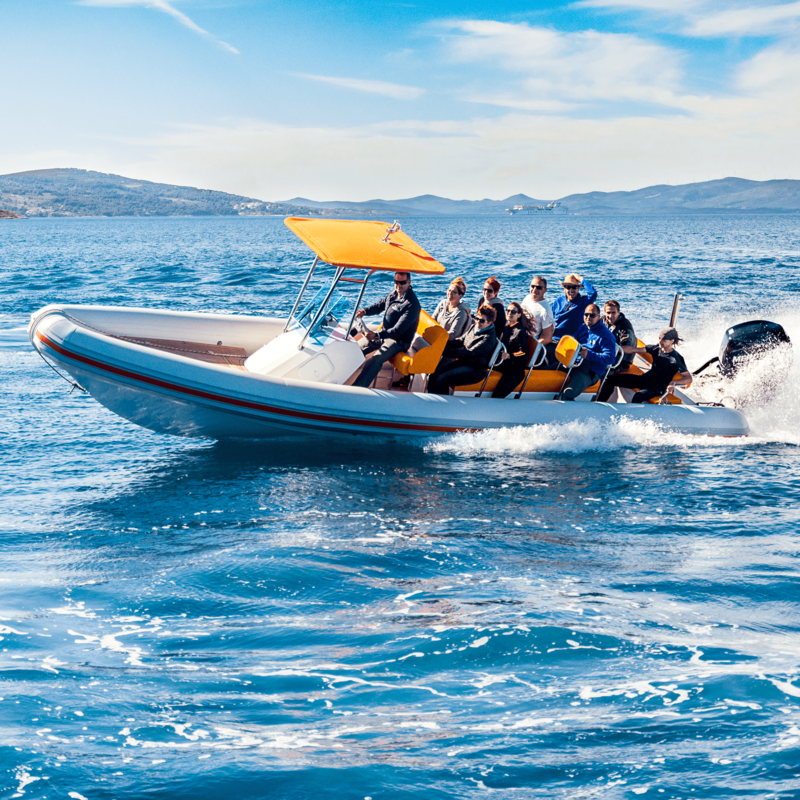 Looking for a sea trasfer, half day rib adventure or a speedboat excursion? Fares starting at 150 € per boat. 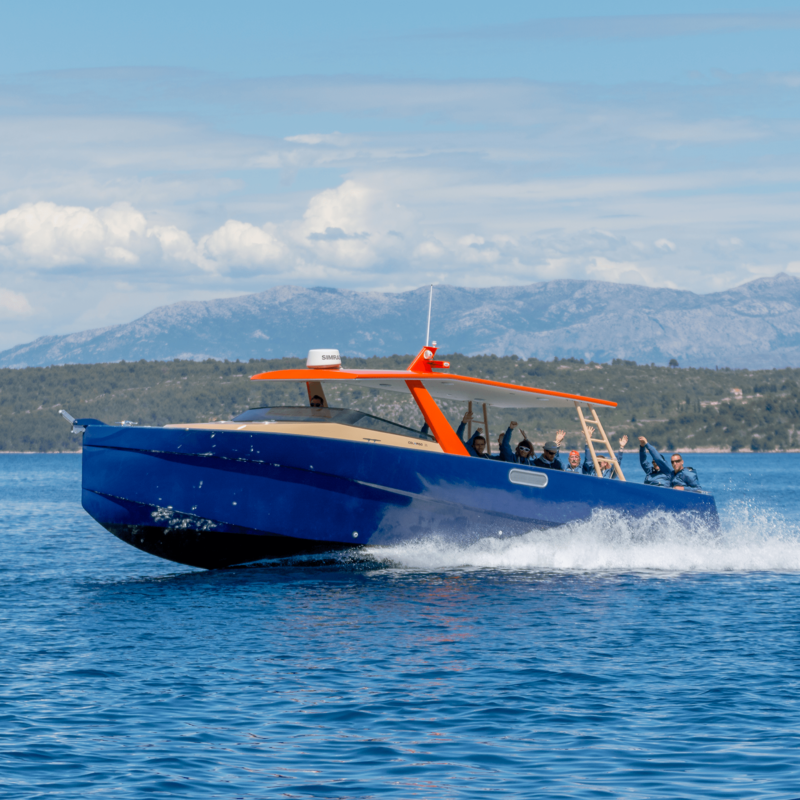 Sea Taxi Split operates in the Split area as part of a recognizable brand that is fully committed to different activities at sea; private transfers, half-day and one-day sea excursions and other sea related services upon wishes and needs of our guests. We wish that every one of our guests has excellent time onboard of our vessels and to make beautiful experiences on vacation. We do not hesitate to have top-notch vessels and an absolutely professional crew with years of experience. In our fleet we have several different vessels, suitable for different destinations and weather conditions. Do not hesitate to request us a non-binding offer for a private taxi or a day trip to some of the famous destinations. 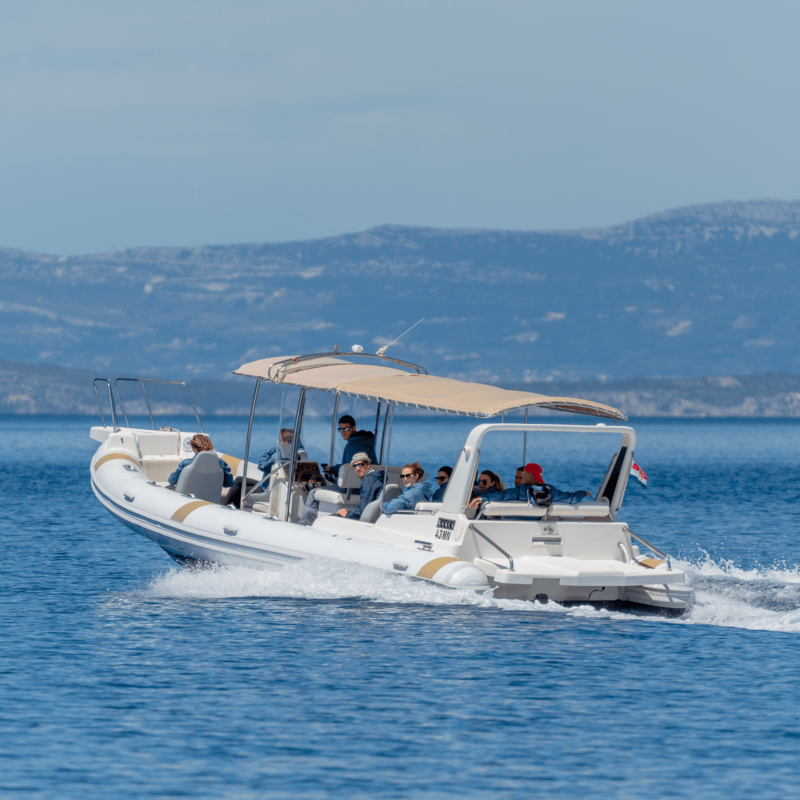 Various boat options for various destinations and weather conditions. Most used rib boat for sea taxi services. Fastest in our fleet, very reliable in all weather conditions, offers 12 jockey seats. Full safety equipment. 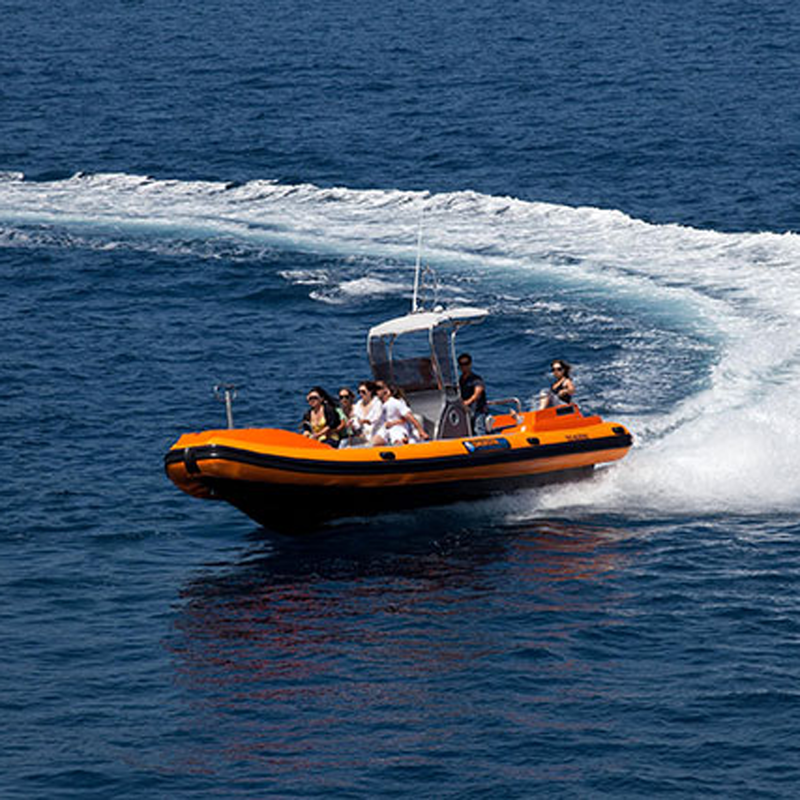 Ragusa is our rib boat used mostly for remote destinations or one day excursions. Offers 12 passengers comfortable seating + crew post. Full safety equipment. Colnago is the newest entry in our fleet. This boat is used for private VIP transfers and private excursions. For more info on this offer send us an e mail. Another often used rib boat for sea taxi services. Very reliable and fast in all weather conditions, offers 12 jockey seats. Full safety equipment. We used Sea Taxi to get from West Bank to Solta, as the ferry services are rare and lacking. We had a tour with his type of rib earlier, so we knew exactly this is what we want. With the management we have communicated to have a half day excursion instead just a shuttle, so we really made the best of our day. SERVICE HIGHLY RECOMMENDED! Service rapide et fiable! Nous avons réservé un taxi de Split à Hvar, pour 8 personnes. Service 100% fiable, le bateau est arrivé à l’heure, pas de frais cachés ou de frais supplémentaires! Je peux vraiment recommander cette entreprise! Au TOP!